Pure 360 Founded in 2001, we are a UK-based email & SMS marketing provider who specialise in understanding our clients and getting the very best results from their campaigns. We work with over 1400 organisations including brands such as innocent drinks, The FT, Bravissimo, PayPal and Occam. Postup We build lasting relationships between brands and their customers in the digital world. With our proven services team, award-winning platform, and handpicked partners, we deliver personalized communications that drive engagement and increase revenues. The Email & SMS Delivery Solution Send newsletters, promotional, and transactional emails and SMS all in one roof, without breaking the bank. And, design stunning, fully responsive emails without the need of any HTML or CSS coding knowledge with our BEE drag & drop email editor. 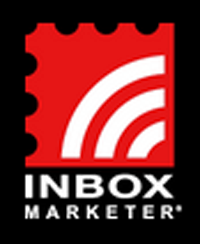 Inbox Marketer is a leading email marketing and technology solutions company servicing clients across North America including Fortune 500 companies as well as many small to mid-size businesses. Goolara An On-Premise and Hosted Email Marketing System with all the features you want, without the hidden costs. You could pay more, but why? As the world’s most powerful 1-to-1 digital marketing platform, the Salesforce Marketing Cloud helps you make the most of every customer interaction — creating personalized, cross-channel customer journeys that deliver exceptional brand experiences. CertainSource has been the trusted, go-to partner for over 10 years for many top consumer brands seeking to grow their email databases—exponentially—with qualified prospects and new customers. WE CONVERT. emfluence is a full service digital marketing agency focused on conversions. Marketing automation at the speed of thought A platform that's not just speedier. It's easier.